Heat 2 tbsp of ghee and roast the oats well. Keep aside and heat the rest of the ghee. Add cashews and roast till golden brown. Add 2 1/2 cups of water and allow it to boil. Add the roasted oats and cook well. Add sugar and mix well. When it starts getting thick add the cardamom powder and the red orange colour. Mix well..Add raisins and mix again. This week's featured Super blogger is Lata of Flavours and Tastes blog. In almost one and half years of blogging, she managed to post recipes steadily without any break and has more than 200 of them on her blog. She couldnt post anything since the past two months as she has been waiting for her things to be shifted to her new place. She is very active on facebook as well..Hats off to her enthusiasm..
Lata: I can happily call myself a foodie…so long as it is vegetarian, I do not fuss about food. I used to be ‘a just cook and eat’ person for many years. Later when friends found my recipes interesting and appreciated, my cooking took a different dimension. My blog is just about two years old. It started from the point where I was sent the link to Laavanya’s Cookery Corner. Around the same time, my daughter and her friends were planning to cook for themselves in University. Thus, as a means of giving them recipes, I started blogging. Then for a few days it was an addiction. Currently, I have enough free time, that I can dedicate to cook and write what I cook. Initially, I posted almost every day, then slowed down. Currently it is on hold and have not posted anything in the past two months. The recipes are usually regular ones, but I do cook sometimes with a post in mind. Lata: My husband was and is, the one who inspires me to do this. It was him who went about shaping the blog. Then, my daughter, who is game to try any recipe. I must acknowledge other food enthusiasts who cook and share their recipes. They are the best source of inspiration. Due credit is to Laavanya, who introduced this activity through her blog. Lata: Most certainly, it has. Cooking was just about a regular day-to-day activity until I started writing and sharing recipes. Now I take due care about measurements and procedures. I try to concentrate on small details lest I misguide someone who is hoping to try my recipe. And even my everyday cooking has evolved inspired by many other bloggers. Even small changes to certain recipes bring about variety. Lata: I think if you have basic knowledge, it is fine. All these sites are mostly user -friendly. The best thing is you can ask a fellow blogger to help out and get things in place. Yet, if you possess additional skills, it is so much more fun. EC: You have baked a variety of bread and cookies ...Any tips on blogging and the recipe you will suggest to a first timer…. Lata: I try to follow the given recipe and go about it when it comes to baking. I hardly try making changes on my own. Once, you are confident, you may try to make slight changes . Lata: It is seriously an offense to simply copy and take credit for what is not your work. If someone can go to lengths of copying posts and pictures, it takes just about an extra minute to credit the source. As far as food is concerned, many recipes are handed down or tried from other sources. So there may be similarities. But copying right off someone’s pages and taking all credit is quite unpleasant. Lata: Thanks EC for giving me this opportunity. I would like to share Aval Laddoo with readers of this post. Toss the beaten rice in a large flat plate and remove scum and dust. Place a heavy rounded pan on the stove. Add few drops of the ghee and a hand ful of the beaten rice. On a low to moderate heat toss it around until they puff slightly. Do this in small batches to evenly puff the entire quantity. Once all of the beaten rice has been puffed, allow to cool. Then pulse it to a coarse powder as in semolina consistency. In a bowl mix the sugar, cardamom powder and the pulsed poha. Mix well to blend evenly. Heat the ghee until warm and mix it to the powdered ingredients. Quickly shape balls. It would be easy to shape while the ghee is warm. So if making larger quantities, it is advisable to do in batches. I have used the red poha for more fibre content. You may make the same using part beaten rice and part ground almond powder. Meet Ila of Cookery point blog in the Budding blogger series..
She says - I am Ila , currently living in UK. I am full time home maker now. I got married before a year and came to UK. I dint get time to learn cooking coz I was working in India before marriage. The first day in my kitchen was really difficult for me as i dono cooking. My hubby taught me the basics and i started exploring the world of Indian Cooking. Thanks to my hubby for his patience in my initial days of cooking. My blog contains general Indian recipes from both Northern and Southern parts of India. It is purely vegetarian and eggetarian blog. All the recipes are tried and tested in my kitchen. Most of the recipes are from my mom and learnt through my own experience and internet. All are welcome to my blog and expecting ur comments to improve my culinary skills. Sending it over to Priya for the MLLA-30 event started by Susan..
Jayanthi: I started my married life as a student. Then completed my Masters’ and Philosophy in Chemistry. Worked as College Lecturer, turned as Home Executive and Mom of two cute kids & managing all family affairs, since my dear Hubby is busy with his profession. 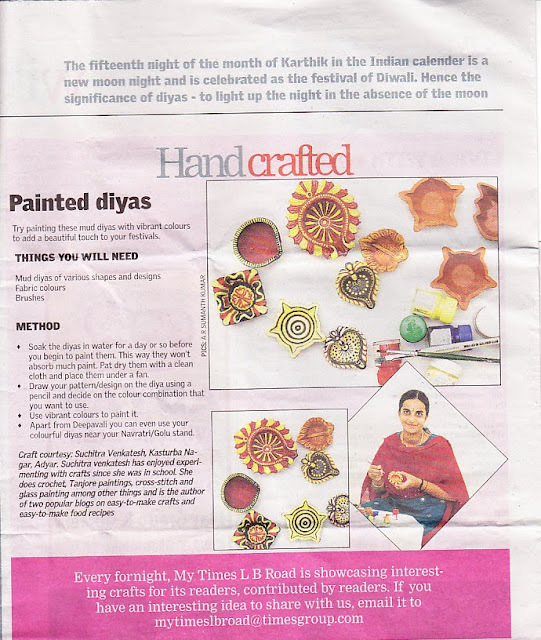 Meet Reva of Kaarasaaram blog in the Budding blogger segment..dont forget to check out her recipes featured in the media.. 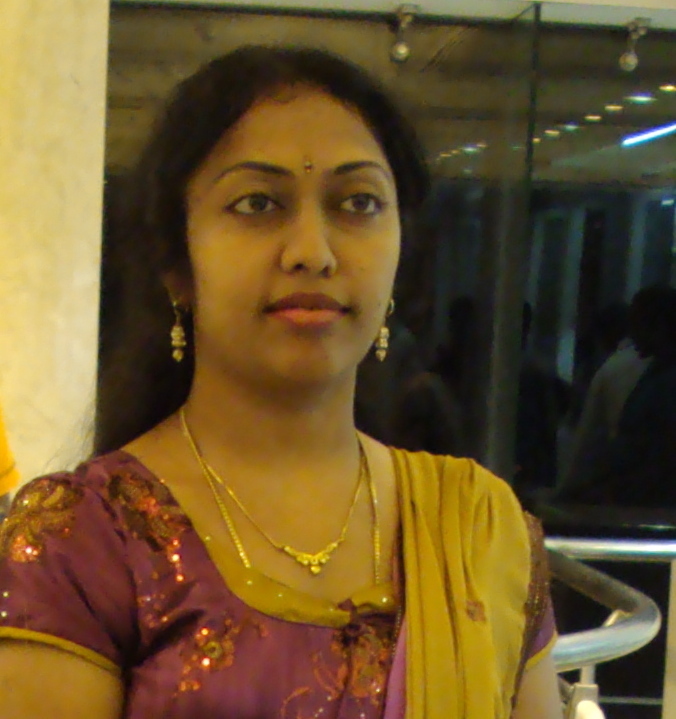 I am Reva [short form of Revathi], a true Coimbatorean [TamilNadu] and a Doctor by profession. I am blessed with a wonderful husband who was my classmate, my friend and now we share our lives together and our 2yr old daughter "Laya". I am not an expert cook or even a normal cook but I am a foodie of all seasons. I love to eat dishes belonging to any cuisine or cooking style. Before I started cooking, I've always thought what was so "hard" or even "great" about cooking. Only when I started doing it myself, I realised how wrong I was. Both my parents are doctors and my mom [bless her] was very efficient at managing the household and work. Weekdays were filled with home cooked delicious food and weekends were reserved for restaurant delights. Heat 1 tbsp ghee and roast the oats for 2-3 mins till you get a good smell. Keep aside. Meet Simran of Bombay foodie blog this week in the Super blogger series...She has been blogging for a little less than 3 years now and has posted more than 300 recipes. Dont forget to check out her interesting collection of cookies recipes. Simran: I have been interested in cooking for as long as I remember. In fact, I have notebooks with recipes that date back to my high school days. Then, 5-6 years back, I started reading food blogs. Then around 3 years back I thought, I should do this myself and started writing Bombay Foodie. I do have a rather hectic job which is why I call myself "A banker by day, a baker by night". I enjoy baking after work and there have been times when I've finished baking bread at 2 am. Soak the rice for 5-6 hours or preferably overnight. Soak the dal and poha seperately for 1-2 hours. communication and was the editor of a newsletter too. After marriage I took a break and now my blog has kept me going. My other interests include traveling, reading, writing alternative cinema and nature. Like R.K Laxman says “the common crow is really an uncommon bird”, the common crow never ceases to amaze me! A very beautiful and huge golu has been set up for the first time at the rear entrance of Sri Parthasarathy temple in Triplicane, Chennai. The Astha dikku golu ( can be seen from 8 sides) is based on Vishnu's 10 avatars and is a delight to golu lovers. This blog is a dedication to my beloved husband who is a Margi, a follower of Shrii Shrii Anandamurthi. As a Margi he practises yoga and meditation which requires him to consume food that helps to keep the mind clear and sharpen concentration. These are called saatvik or sentient food. When I newly got married, cooking for my husband was a tough task as cooking without onion & garlic is a nightmare for an Indian women. I did my best but I wouldn't touch it and I’m lucky enough, he eats without a complaint. So, begin my quest for cooking. I searched for new recipes all the time, internet, magazines, cookbooks…as the saying goes “the way to a man’s heart is through his mouth”. Gradually, my cooking improved as I mastered the secret ingredient to make delicious vegetarian cuisines. All the recipes in this blog have been tried and tested & modified by me. I hope it will be useful to fellow vegetarians. I am Sujatha. I love coding, cooking, reading, watching tv,movies, and all sort of tinkering works. I am married and I am a proud mommy of lovely twin boys to make my life worthliving .We currently live in Chicago. I have a versatile palate and would love to taste and try any cuisine.If I hadnt been a programmer my second choice would have been to become indo-french cuisine chef. I would had my hand with truffle and all sort of exotic ingredients. I love to cook for my family and friends. I would really like to share all my experiments and creations in my blogspot with you all. And your comments and suggestions shall help me lot and inspire me to make more dishes. Hai! I am Gayathri Kumar , mother of 3years old. I started a blog last month and specialize in south indian recipes and baked goodies. I started cooking when I was at sixth standard. My mom trained me to be a good cook. I have done a diploma in Fashion Designing and also have training in Mysore paintings. But after marriage I couldn't continue my career in fashion designing and arts. So I started cooking different varieties of food . As my passion for cooking increased I started looking for recipes online. And now I am very much interested that I started a blog spot. Navratri is celebrated in a grand way in South India by keeping golu (dolls of deites arranged in odd number of steps) and performing pooja for 9 days. October is Breast Cancer Awareness Month and Indusladies.com is conducting an awareness campaign. By doing so you are also helping an NGO Forum for Breast Cancer Protection that supports this cause as Indusladies.com would be donating Re. 1 for every participant taking the quiz. Also you will be automatically eligible to win Tshirts and Caps through a randow draw. Do your bit by taking up this quiz and also encourage your friends and relatives to be a part of this campaign.. I am a Marathi, living in UK, working in a school full time and mad about different kinds of arts. I am a mother of a lovely boy who loves food and interior designing, although he is just 11 years old. I believe, seeking both my profession and my passion at the same time has enabled me to balance me in my life. I love my job working in a special needs school and learning new form of art is my passion .Cooking had never been a part of me until, the day I landed up in our England’s kitchen. Meeting my son’s demands and my hubby’s likings discovered a cook in me.My parent’s recent visit to UK helped me discover a bit more about cooking…especially the baking and the cake decorating part. I baked cakes, decorated cakes, served cakes, ate cakes, sang about cakes and now I love cakes…hence my blog…..isingcakes! This blog is a collection of my passion, my hobbies, my crazes and all my experiences as I learn and apply . I will be sharing all my culinary collections in Sweet n Savoury section of my blog. My artistic flair will be shared through Different Strokes and last but not the least all my baking and cake decoration will be in the Isingcakes section. I am Shilpa and my blog is Ruchi. I have gone through many blogs and was always thinking that I should create my own blog. Well I think, this was the right time. I have just started putting down the recipes which came out well, recipes inspired by online cooking blogs(like yours) or my friends or relatives (especially my mom). Basically, I will be writing more on the Kerala recipes but ofcourse not limited to that. I really love many other recipes (from north and south part of india). I have tried many of those and will definitely continue to do so. I welcome you to my blog ! I am a happy Indian homemaker and just want to share some of the seemingly difficult recipes in cookery and certain tips that would help while working on intricate recipes. The *idea of creating a cookery blog* emerged from constant searches for Indian recipes over the internet for relatively easy-to-make dishes. As a teenager, I had constantly watched various cookery shows on television and was eager to try out them just after the show. I used to wait to hear comments on the dishes from my parents and brothers. Several years later (that is after I got married and had a kid), I still yearned to learn to cook new dishes and eventually comments from my husband and in-laws. I would like to share the lessons that I learnt and how to make cooking somewhat simpler without compromising on nutrition and taste. Also, over the years, it occurred to me that there needs to be at least an online scrap to look back and help re-inherit our culture. Our culture and various festivities had been the cause for celebration and interactions between people. I would also like to describe some of the food associated with various festivals and how to make them. In short, this blog contains basic tips for food preparation which are required for a typical Indian Family. I look forward to have your support and wishes. Thanks a lot to all readers and friends to have helped me reach this milestone..
Pressure cook the rice till soft. Heat ghee and add the cashews and raisins. When golden brown, add the cooked rice and milk and cook for 5 minutes. Add the sugar and mix well. Finally add the condensed milk and cardamom powder. Meet Gayathri I am Gayathri,mother to 2 year old Meghana.I have recently started blogging.My blog is all about cooking along with few other things.I entered kitchen for cooking only after marriage.Now I love cooking and try to experiment with it.Thanks to my husband, whom I feel is one of the best food critic in the world(Though he denies it) and has made my cooking better and better. My blog will have recipes that I have learnt from my mom,some are my experiments and some are from cook books and internet. Every one is welcome to my blog. Hope you will enjoy it. Meet Kalyani from Kalyani's Kitchen in Budding blogger segment.. I'm Kalyani from Kalyani's Kitchen ...... I am a B.Tech Graduate in Comp. Science & Information Technology. As a hobby I started blogging last year. I am from New Jersey, USA but basically from Hyderabad, India. I always watched khana khazana, tarladalal shows and many other cooking shows. I used to note the recipes & tried them. I love cooking and try to do experiments on different recipes. My inspiration is from various cooking sites.... In my blog mainly you will find indian recipes that can be made at home easily. 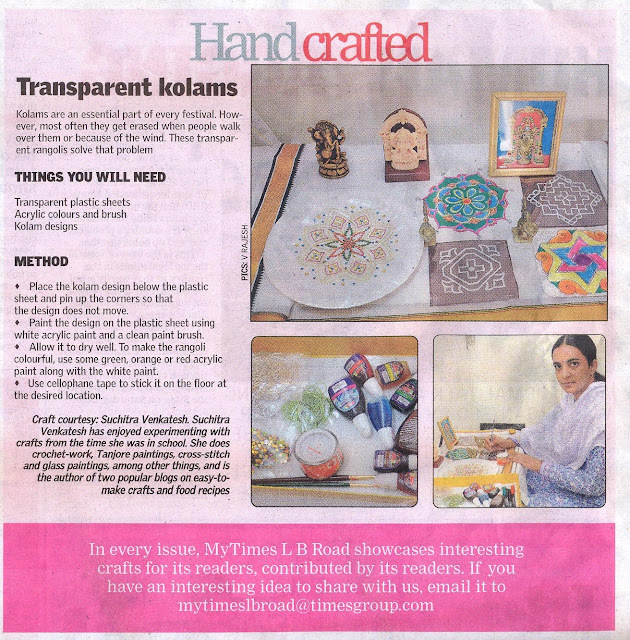 Meet Suneetha of Suneetha's kitchen.. I am a new cooking blogger.I am in California,United State and basically from Andhra Pradesh,India.I am working as a software engineer,can't find time to cook more,but still love to cook,So I plan weekend to try new recipes..
Until Coming to USA..I don't know much cooking but later it became a passion to me.My Husband is a chef by profession and is my best critic.To get his upto mark taste i try hard to give my best in cooking..
Will watch lot of cooking shows and try my own recipes too...Good thing is most of them turned out good. I used to take pics of my experimented recipes..and friends used to ask my recipes over phone..they tried and liked them...so it is due to my frnds and family i have started this blog recently in this month. But Honestly,if you ask me what makes me Be HERE, What makes me Blog, then I wuld say.. I don’t know….I really don’t know…. !! Because blogging is all About writing, and I don’t like writing, Infact I feel the most annoying and frustrating task for me is to write!!!!!!! !Sometimes I have these weird bottled up thoughts…of Outsourcing writing for my blog…. !!! And then it makes me wonder is Blogging so necessary?.............may be for some weird unexplored reasons…….Need to explore the unexplored! Or may be… I just wanted to say `Hi~ to all of you..(and my wuld be Friends)……and also let you know that I am here,!! I guess I have written enough, can that not stand as an Introduction?.....then Let the introduction come from you!!! 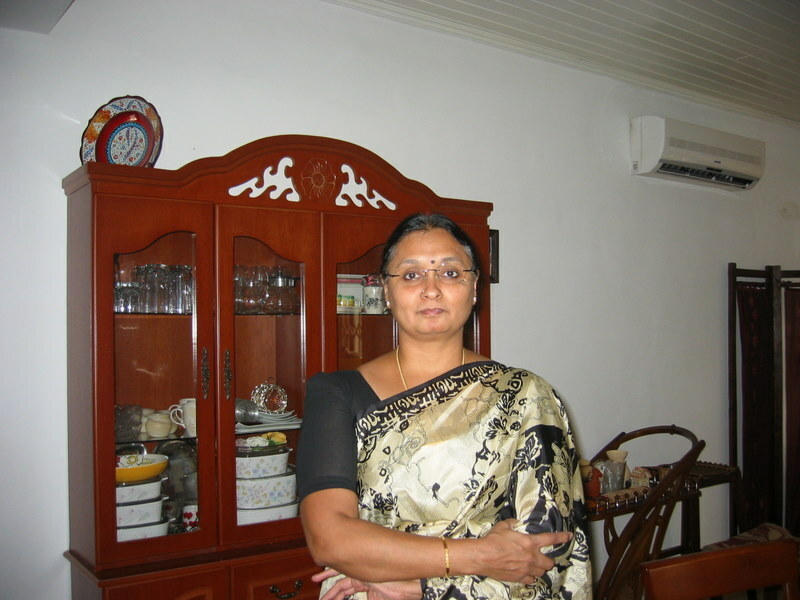 She says - I am Supriya jadhav Mishra, currently located in Kuwait but born and bought up in India ( Bombay). I love cooking its my passion, I can start cooking at any time of the day. I don't get much time for cooking as I am working but still manage to get some time to prepare and try new recipe & also cook a delicious meal for my family. I follow many cooking shows and also surf many sites. About my food blog - it will have both Veg as well as Non-veg recipes. I am a Maharashtrian & married to a North Indian. It will be multi cuisine. I will try to post as many as recipes I can. I live in North Carolina, United States .Married and a mom to two wonderful little girls. Cooking has always been a passion for me since I was a young girl growing up on the tropical metropolitan island of Mumbai, India.I was familiar mostly with the large assortment of Indian dishes and also Chinese and the occasional pizza and pasta. It was ten years back when my husband and I migrated to the USA that I was introduced to this whole global food market present here and how !! Since then it has been a very pleasant and enjoyable journey as I tried out recipes from all over the world :American, Italian ,Chinese, Mediterranean, Japanese, Thai, Mexican and of course Indian . Armed with my box of Indian spices and cooking skills I gave an Indian touch to many American classics resulting in a wonderful mix of flavors much to the delight of my kids and hubby. Hope you enjoy the dishes as much as I did preparing them . Mix all the ingredients except oil and bread crumbs. Make balls and flatten them. Shape into round cutlets or heart shape. Roll into bread crumbs and shallow fry with little oil in hot tava till golden brown on both sides. Soak the rice for 1 hour. Pressure cook the rice and greengram dal together with required quantity of water (approx water should be 2-3 times the quantity of rice). In a small kadai, heat the ghee, add the cashews. When it turns golden brown, remove the cashews and add the cumin seeds, pepper, ginger and curry leaves to the ghee. Transfer all of these to the cooked rice. Mix well. Serve hot with chutney and sambhar. Slightly dry roast the mint leaves for a minute. Grind all the ingredients together with a glass of water for a minute. Strain it to remove the mashed mint leaves. Cool and serve with some ice for a refreshing drink. A healthier version of the popular akkaravadisal by using red poha instead of normal rice. Clean and wash the poha well. Pressure cook poha and dals with 2 cups of water. In a seperate vessel, add little water to the jaggery and heat till it starts boiling. Add cardamom powder to it and cooked poha and dal. Mix well. Add the food colour, edible camphor and mix well. Cook for five minutes. Add milk and mix well for 2 minutes. Garnish with roasted cashews and raisins. *You can even add some ghee to it. Mix all ingredients except bread slices and oil. Cut the corners of the bread slices. Slightly wet the bread slices by touching with wet hands. Put a bit of the stuffing in the center and slowly get the corners of the bread together to make a ball. Gently press it trying not to let out the stuffing to get the shape of a cutlet. Heat about 2 tbsp oil in a tava and shallow fry the cutlets till golden brown. Serve hot with tomato sauce. Heat oil, add cumin seeds, cloves, cinnamon and bayleaf. Fry for a minute and add tomato puree, garam masala powder, turmeric powder, red chilli powder and salt. Mix well and fry for 2 mins. Drain the water from the soaked rice and add the rice to the fried masala. Mix till dry and add 2 cups of water. Add the half cooked beans and transfer to a vessel. Pressure cook for 2 whistles. Use a fork to seperate the grains. Garnish with finely chopped coriander leaves. Serve with raita of your choice. Hello to all! I`m Prathima from Mangalore. Welcome to ' Prats Corner '.I am a MBA grad, quit my job recently and now exploring the world of cooking under Amma`s guidance. I am absolutely passionate about cooking! Amma is an expert cook and has vast recipe collection - old and new. The two of us together make a great team - trying out a wide variety of dishes. One thing I have learnt from Amma is that the main ingredient for a perfect dish is 'passion for cooking'. As I have a lot of free time now, I keep browsing the net for recipes and came across a number of blogs featuring wonderful recipes and that is when I got the idea of blogging and posting Amma`s recipe collection. My blog has been in the making for quite sometime now and finally here it is - Prats Corner. Every meal we eat defines our mood and energy to carry on our day-to-day activities. Healthy eating is not depriving yourself of the food you love (of course one can occasionally reward oneself too!). It is about looking healthy and feeling energetic. At 'Prats Corner' you will find various healthy & tasty recipes, recipes from India and from around the world, recipes for entertaining etc. Also, soon to be introduced are various home remedies, skin and hair care tips, health tips etc etc. Do drop in to my blog and post your valuable comments and be a follower. And remember, for a less stressful life, wake up every morning with a positive thought and you will be amazed too see how smoothly the day progresses. When having a meal, enjoy what you are eating instead of simply complaining about day`s events. A healthy mind can lead the way to a healthy body! Here is what she has to share with all .. The Vegetarian Zest is written by me, Srivandya Anand. I have degrees in Economics, Education, and Information Technology. Don't ask how that came about - it just happened. After slogging in many IT organisations as a content writer, I decided to quit and became a freelancer. Husband’s work brought us to Johannesburg, South Africa and since then I’m enjoying my life being at home. I’m obsessed with food. Not so much with eating but more with cooking. Both my parents love cooking and seeing them I started cooking at a very young age. Mom always encouraged me to make my own sandwiches when hungry. Even today if my dad comes up with a yummy experiment, he shares it with me. Apart from cooking, I like to check new food stores, go grocery shopping, buy storage containers, and check new recipes on internet. Also, I love to host dinner parties for dear friends and family. ‘Vegetarian Zest’ was born as a food journal and for learning food photography. I’m still in the latter phase. In each post you’ll find a story. I prefer to tell you where and how the recipe came or who passed it down rather than the techniques behind. The recipes you find on my blog are put together with care and lot of passion. I usually get my recipes from my parents, magazines, internet or friends. Some are even found accidentally. All the recipes are tweaked or modified to suit my taste. As the name suggests, this is a vegetarian blog so you’ll not find any meat or chicken preparations. I make sure that my family eats healthy and fresh and in that spirit I buy high quality ingredients, fresh produce of veggies, and organic products… even if I have to spend extra. Long story short, please do come by every now and then to check on new posts – I would love to see you around. Your feedbacks and comments are always very much appreciated, I can also be contacted via vandya.foodie[at] gmail [dot] com. Meet Sanjeeta from Lite Bite..
Hello everyone! I am Sanjeeta KK, mom of two kids, who carries a bucketful of dreams day & night, in spite of finding less time to make happen. Optimist by nature and a lover of all forms of creativity, I yearn to learn something about everything under the sun. I like to read, cook, travel and write. Writing on food and healthy-living are a few joys of my life. Sharing it with you all will certainly increase it to manifolds. With a Masters’ degree in Economics & Business management, I am currently managing the intricacies & economies of my home. Food, which is simple to cook and saves on time but not on health is my favorite. That is how my site Lite Bite was born. Lite recipes for right health! Since dietary habits play a crucial role in deciding how fast one age, cooking our daily meal with a little nutritional knowledge gives an extra edge to health. Lite bite thus tries to incorporate articles on health, eating right and foods that heal, alongside many healthy-recipes. Cheers!! Be happy and stay away from negative thoughts, “a light heart makes for an easy life”. Welcome to Lite bite! Hope this journey of learning and yearning about food & health prove to be rewarding for all. Meet Rach from Indian food in the Budding blogger series. My passion for cooking, my experiments with ingredients, and my everyday cooking experiences ....Simple, easy, healthy and tasty homefood.. In a nutshell, this is how I can describe my blog. I simply love south Indian veg food. I look to cook south Indian food ( I cook non-veg as well). The hyderabadi cuisines which have great mughlai influences, the spicy andhra cuisine, the unique chettinad cuisine (with lots of black pepper), Coconut rich cuisine from kerala, and my very own karnataka cuisines, interests me a lot. I also love to cook other cuisines from parts of India like Punjab, Gujarat, rajasthan, Goa, Bengal( die hard fan of bengali sweets), Maharashtra, bihar etc. I don't mind sticking on to the ingredients that are authentically used like mustard oil, vinegar (in Goa) or even adding sweetness to gravies( like in rajasthani cuisine). I'm fascinated by various cuisines of this world... may it be a stew from Jerusalem or pitta smeared with hummus along with a falafel filling from Lebanon, or baked pastas or pizza from Italy, Fusion foods like hamburger from America, tortillas from Mexico, Arabic grills, native African cuisine, or colorful Caribbean cuisine or classic french and English cuisine, or my very own Asian cuisine, I like them all. I love to cook all of them some day. I used to discuss about my everyday cooking experiences and recipes with friends online, that's when I thought blogging would be a good option to share with Friends and all others who may be looking for a recipe. Having no clue about what blogging is all about, I asked one of my friend. Then I did log in and started my journey of blogging. I'm very new to blogging (its hardly been a month), I'm loving it. I know I still have a long way to go( a long , long way). I love browsing and blogging ( its like I learn , I share). Blogging is now my hobby, it keeps me occupied. Any hobby can make us happy, may it be dancing, singing, arts, crafts or painting...It brings out all our hidden talents and nourishes all the skills that we have. It brings out positive vibes in us. Do visit my blog .. I'm just another happy cook, Having fun cooking! Thanks a lot Shiva, Priya and Sudha for sending in the healthy versions of your favourite dish for the MEC event..Unfortunately I am not able to concentrate on blogging and make new dishes for the past 2 months..So, there has not been any entry from me..
Srivalli's very popular event MEC comes to Simple Indian food blog this month..
Microwaved food has gained popularity over the years for ease in cooking and reheating. But the highlight remains that it requires less oil and spices for cooking. And this is most helpful for dieters and in general for all those who try to make food healthier..Keeping this in mind, this month's theme for MEC event is Healthy Diet Food. 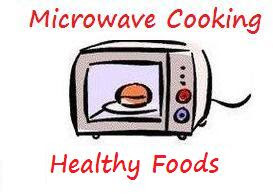 Try to cook your regular food or any special diet food with your microwave so as to reduce the oil/fat content and spice content- making it much healthier than the way you are used to eating it. There is no restriction on which part of the meal you would want to cook..however it must be done in the microwave and not the stove top..You would be free to use other electrical gadgets but cooking has to be mandatory done with your microwave..
* The last date is May 31st. * Multiple recipes are permitted and recipes submitted to other events are also permitted. Recipes from archives can be accepted ONLY if updated as current posts. * The entire cooking needs to be done in Microwave. You can of course use food processor or others for grinding stuffs, but no stove top..Only Veg recipes please (Cheese allowed, egg not allowed). * Link the post to this announcement as well as to Srivalli's MEC post. Both the links are mandatory and unless included cannt be added to the roundup. Please try to include the logo in your post. * If you dont have a blog, send in the recipe and picture to easycrafts@gmail.com and I will publish it for you on my blog. Soak rice for 1/2 hour. Heat little oil, add the mint leaves and fry for 3 to 4 minutes. Grind it along with coconut, ginger and green chillies. Heat the rest of the oil, add cloves, bayleaf and cardamom. Add turmeric, potato cubes, peas and masala paste. cook for 2-3 minutes and add salt. Add the soaked rice after draining the water and mix well for 2-3 minutes. Add 1 1/2 cups of water, transfer to a vessel and pressure cook it. Garnish with roasted cashews. Mix all ingredients except oil with little water to make a soft dough. Keep aside for 10-15 minutes. Make balls of it and roll into parathas by dusting little wheat flour. Mix all the ingredients together well and serve. Cook any greens after cleaning until soft and add salt, asafoetida, crushed cumin seeds, grated coconut and mix well. Add this to the usual dosa batter and make dosas. An easy way to incorporate healthy ingredients in daily food. Mix all the ingredients except oil and keep aside for 10 minutes. Add little water if required. The mixture should be thick but not like dough. Heat oil. Wet palms and pat small balls of the mixture flat to make vadas. Drop them slowly in hot oil and repeat for 2-3 more vadas depending on the capacity of the vessel. Fry in medium flame till golden brown on both sides. Remove on a tissue paper to drain excess oil. Serve hot with chutney and sambar. Meet Remya from Remya's Kitchen today as a Budding blogger. She says - I'm remya. I'm a new blogger. Cooking is a hobby, passion and an obsession for me. I dont specialise in anything particular. I like to try everything in my kitchen. I love to cook Indian, Chinese, Thai, Italian, Continental, baking etc. My mom, husband, friends and relatives have appreciated my cooking skills and their encouragement prompted me to start blogging where I can share my skills and also learn new things from like minded people. This is a special dish made on the occasion of Tamil New Year. Remove the skin of the mangoes and cut into thin slices leaving out the seed. Cook this in boiling water till soft and then add tamarind paste and mix well. Add little more water if required. After mixing it well, add cardamom powder and jaggery. Mix well till it boils well and gets thick. Temper with mustard seeds and red chillies..
Mankaai pachadi ready to eat as a side dish. Mix coconut and milk powder together. Make a sugar syrup with little water to get sticky consistency. Add the coconut milk powder mixture and cardamom powder. Also add ghee and keep stirring well till the mixture starts leaving the sides of the vessel. Transfer to a greased plate and cut into desired pieces when a little cool. Based on the latest studies of US researchers, it has been found that maple syrup can significantly reduce the growth of some types of cancer cells. Studies also showed that it can also considerably decrease the risk of diabetes. Evidences have been discovered pointing to the fact that maple syrup has thirteen previously unknown antioxidant compounds. These antioxidants have special properties that make them very effective against cancer, diabetes, and bacterial infection. Maple syrup contains high levels of phytohormone and abscisic acid. According to research, this type of acid is a natural defense in controlling diabetes and other metabolic syndromes. The acid is effective because it has the potential to encourage the release of insulin through the pancreatic cells. It can also enhance the fat cell’s sensitivity to insulin. The studies on maple syrup and its effects on diabetes have been reviewed by experts. The results of these studies were revealed before the American Chemical Society in San Francisco. A study by researchers at the Universite du Quebec a Chicoutimi, published in the Journal of Medicinal Food, implies that maple syrup can be more effective than broccoli, blueberries, carrots and tomatoes in significantly slowing cancerous cell growth in the brain, prostate and lungs and somewhat less significantly in the breast. Maple syrup can serve as your tasty alternative in fighting cancer and diabetes. There are many anti cancer foods today like blueberries, tomatoes, broccoli, and carrots. However, recent studies have shown that maple syrup is more effective against cancer compared to other anti cancer foods. Laboratory testing results also show that the syrup is more potent compared to the maple sap. It is also ideal to use the pure dark syrup rather than the lighter syrup. Dark syrup has high color oxidation.This is the reason why darker maple syrup should be preferred. So if you want a better alternative to fight cancer and diabetes, then your favorite maple syrup is a good option. About the Author - Sandy Harris writes for the diabetic cookie recipes blog, her personal hobby blog focused on tips to prevent, cure and manage diabetes using healthy snacks and recipes. Heat oil and add cloves and cinnamon. Add ginger paste, turmeric powder and tomato puree. Grind the coconut, green chillies, little coriander leaves and fennel seeds to fine paste. Add this to the gravy and add salt as required. Add the pressure cooked sprouts to it and allow it to boil well and get thick. When water becomes a luxury!